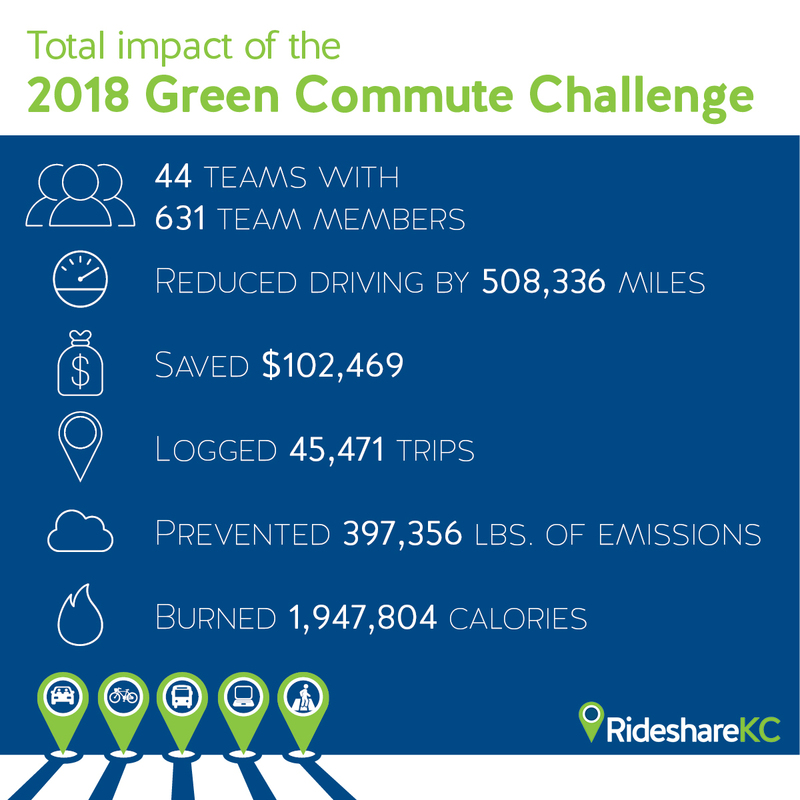 What is the Green Commute Challenge? MARC’s RideshareKC and Air Quality programs host the Green Commute Challenge — a friendly competition intended to take vehicles off the road during the height of ozone season (June through August) by encouraging the use of alternatives to driving alone, such as carpooling, riding the bus, bicycling, walking and telecommuting. Participants join a team of coworkers and log work-related trips on their commute calendars to earn points and a chance to win some great prizes. Contact the RideshareKC team: info@ridesharekc.org.